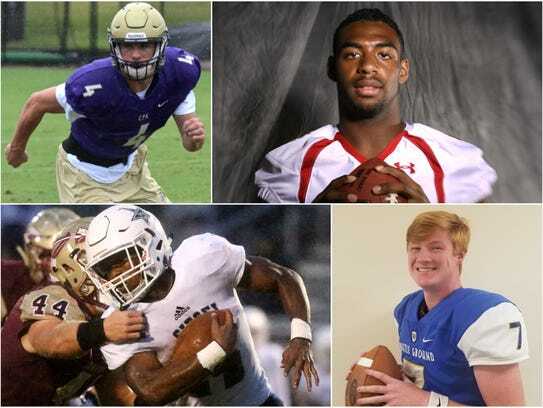 With the first half of the 2017 season behind us, here’s a look at The Tennessean’s high school football midseason report. Greenbrier (5-0): The Bobcats are off to their best start in more than two decades thanks to an opportunistic defense that’s allowing 12.8 points per contest. White House (4-0): The Blue Devils have bounced back from last year’s winless campaign by winning their first four, including last week’s 16-14 triumph over Springfield. Columbia (4-1): After failing to win a game a season ago, the Lions have managed to win four of their first five under second-year coach Jason Hoath. West Creek (4-1): The Coyotes snapped their 17-game losing streak with a season-opening win over White House Heritage, and they’ve already equaled the win total from the previous three seasons. Ravenwood (4-1): The Raptors, playing for their third different head coach in as many seasons, are tied atop the Region 6-6A standings after last week’s ‘Battle of the Woods’ win over Brentwood. Franklin (1-4): The Rebels offense, which features 6-foot-7 Ohio State commitment Max Wray at offensive tackle, has managed just 85 points — 34 of which came in a Week 4 win over McGavock. Hillsboro (2-3): Longtime coach Maurice Fitzgerald hasn’t enjoyed the smoothest of transitions to his new school, and the Burros’ brutal early season slate hasn’t helped. Forrest (1-4): The Rockets, coming off consecutive 10-win seasons, are in danger of missing out on the postseason for the first time since 2008. Ensworth (3-2): While still clinging to a winning record, losses to CPA and McCallie have raised questions regarding the ultra-talented Tigers. Overton (0-5): The Bobcats, who are averaging just 13.6 points, are looking to avoid their first winless campaign since 1960. QB Drew Martin, BGA, Sr.
2016 Mr. Football semifinalist has completed 104 of 151 passes for 1,198 yards with 11 touchdowns and two interceptions, and the 6-foot-2, 200-pound senior has also rushed for 154 yards and six scores. RB Lelan Wilhoite, Siegel, Sr.
Nashville Christian transfer averaging close to a first down per carry for the Stars, piling up a Midstate-leadng 981 yards and 11 touchdowns on just 109 carries. WR Avery Brown, Shelbyville, Sr.
Brown has already hauled in more receptions that he did all of last season, making 36 grabs for 630 yards and eight scores through just four games. ATH Kane Patterson, CPA, Jr. In addition to racking up 501 yards and 10 touchdowns on 64 carries for the Lions, the three-star linebacker prospect has also posted a team-leading 30 tackles — six for loss — and a sack. DB Brian Thompson, East Nashville, Sr.
Two-way standout has hauled in a school-record six interceptions for the Eagles, returning one 66 yards for a score. He has also made 10 catches for 180 yards and five touchdowns. Mt. Juliet has posted five consecutive shutouts, outscoring opponents 200-0 en route to the Golden Bears’ first 5-0 start since 2011. After dropping his first three games, first-year Lebanon coach Chuck Gentryhas led the Blue Devils to back-to-back victories, including last week’s 29-23 triumph over Hendersonville. 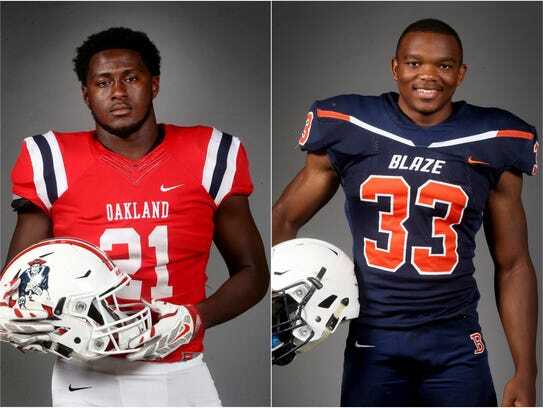 Unbeaten Blackman leads all Nashville-area squads with 241 points, and the Blaze, ranked second in Class 6A, have outscored their first five opponents by an average of 33 points. 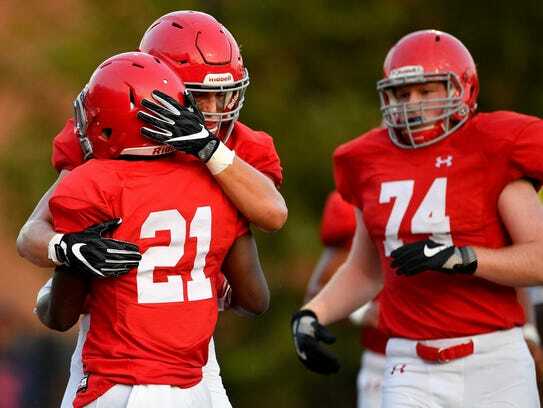 Brentwood Academy, ranked ninth in the USA TODAY Super 25 national rankings, will be looking for its Midstate-leading 10th consecutive win Friday at Knoxville Catholic. Shelbyville’s Grayson Tramel has been piling up passing yards at a record-setting pace. The junior has averaged 368 yards through the air — that’s more than Christian Academy of Knoxville’s Charlie High (346) averaged during his record-breaking 2011 campaign. 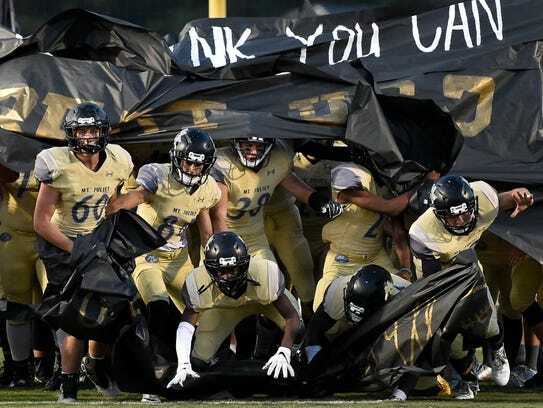 Region 3-6A battle of unbeatens featuring the state’s first- and second-ranked squads in Class 6A. Williamson County rivals will be jockeying for postseason positioning in this Region 6-6A showdown. Non-region rivalry clash marks the 34th meeting of between neighboring county schools. The seventh-ranked Raiders and fifth-ranked Tigers should meet to determine the Region 4-4A champion. Rematch of the last two Division II-AA title games and perhaps a preview of this season’s Division II-AAA BlueCross Bowl. Critical Division II-AAA matchup could very well determine an East/Middle Region champion. The winner of Friday’s Oakland-Blackman game will reach the Class 6A championship. This year’s Class 3A BlueCross Bowl will feature a pair of two-loss teams, Alcoa and Pearl-Cohn. For the fourth year in a row, the championship in the largest Division II classification will feature two teams from Middle Tennessee. Mt. Juliet will enter the postseason having allowed fewer than 28 points. However, the Golden Bears will not reach the Class 6A semifinals. Waverly will advance to the state final for the first time in school history.